Over recent years Yorkshire-based Kirkwood Hospice’s charity skydiving events have proved very popular and offer a great way to try tandem parachuting alongside other fundraisers. 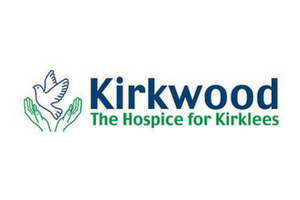 Kirkwood Hospice in Huddersfield provides specialist care for those people in the Kirklees area facing life-threatening illness. They respect individual needs and wishes caring for the whole person to help them achieve the best possible quality of life. Families, friends and carers are offered additional support and help during the illness and in bereavement and the Kirkwood Koalas service is aimed specifically at bereaved children. Kirkwood not only provides in-patient care, but also Day attendance allowing patients to attend the Support & Therapy Centre, a Drop-In service, plus the Kirkwood Palliative Care Team visits patients at home to give additional support, advise on symptom control and help plan future care. Kirkwood Hospice ask you raise a minimum of £395 per person to take part in one of Skydive Hibaldstow’s charity jumps. Every extra penny over this amount also goes to Kirkwood Hospice, so try and raise as much as you possibly can. Kirkwood Hospice loves fundraisers to join their charity skydiving events and always try to send a representative from the charity along to support you if you attend the following scheduled date. Kirkwood Hospice is an independent Hospice and a registered Charity, (number 512987), Company Limited by Guarantee in England No. 1645888.